Getting a traffic ticket in Bexar county is hassle enough without having to also spend an entire day in a classroom for traffic school. Our Bexar county online ticket dismissal program gives you the freedom to complete your defensive driving course at your own pace, in as much or as little time as you'd like. Online defensive driving is the fast and easy option when it comes to dismissing your Bexar county traffic ticket and maintaining your driving record. 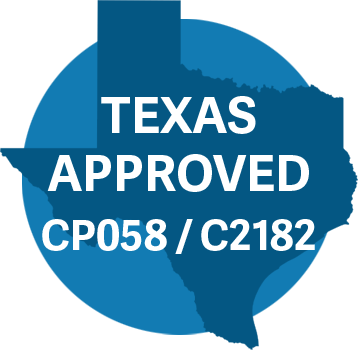 The Texas Department of Licensing and Regulation has certified that our defensive driving course meets all of the Texas state requirements. By enrolling in a TDLR-approved online course, you can rest assured with the knowledge that your defensive driving completion will be accepted by the Bexar county courts and your insurance company. You must make your request to attend a Driving Safety course on or prior to your court appearance date, and you will be required to submit an affidavit stating that you meet the above qualifications. You must also request a copy of your driving record from the Texas DPS and then submit your driving record to the court as verification that you have not attended a Driving Safety course for ticket dismissal within the last year. You will also be required to provide the court with proof of financial responsibility (liability insurance). Once you've received the court's permission, and have paid any fines you owe to the court, you will have 90 days to complete your course, from the date that you signed the affidavit. 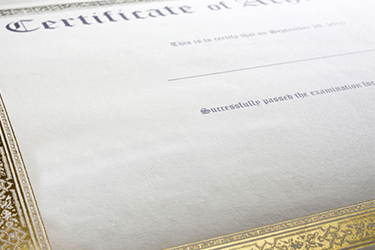 Texas courts now accept digital certificates, so once you finish your course we'll provide you a printable certificate. You must sign this certificate and submit it to your court within the time frame required by the court. A printable certificate is included with our standard course fee. For most Texans, traveling to a Driving Safety School and spending all day in a classroom is simply not an option. We know you're busy, and our online program was designed to put your needs first. Our curriculum was developed with your schedule in mind -- the course covers all topics required by the State of Texas in the shortest length of time allowed by law! 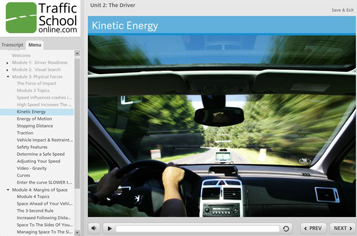 Taking Defensive Driving online gives you the freedom to complete the lessons at your own speed, when and where you want. You can log in to the course for just a few minutes at a time, or do it all in one day -- it's completely up to you! We make textbooks a thing of the past. Our multimedia slide show course includes free audio narration, so you don't have to read if you don't want to. Careful studies have shown that many people learn and retain information more efficiently when they listen, rather than read. With that in mind, we've developed a course that's guaranteed to help you learn what you need to know in the least amount of time possible. Time flies when you're taking online Defensive Driving! Our goal is to help you complete your course as easily as possible so that you can be on your way. That's why our defensive driving course has been designed to allow you to retake the quizzes as many times as you need to. You won't get caught up on a failing grade - simply answer the questions again until you get them right. 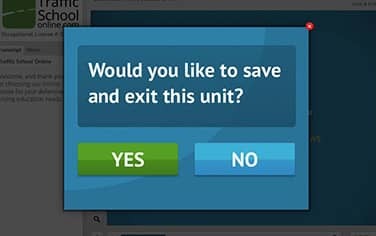 We'll even show you the right answers before you try again. And the best part is, there's no final exam to take at the end of the course. 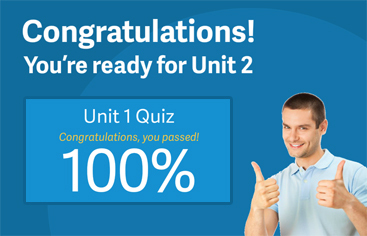 Once you pass the last quiz you're good to go!